310 Kilometers in 21 Days! Dr. Matthew Anderson of Concordia University and SHFS Board Member Hugh Henry ‘pilgrimaged’ and trekked along the NWMP Trail in Summer 2015. They were joined by public walkers at various points and enjoyed ‘typical’ prairie weather and hospitality during their journey. There were also associated heritage activities in McCord, Mankota, Val Marie and Eastend. Here is a trailer for a mini-documentary on the Trail walk! Pilgrimage To The Past - Trailer from Overtime Communications on Vimeo. 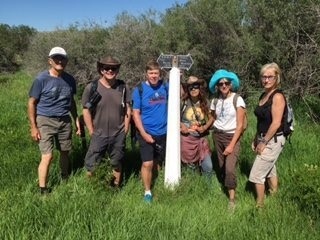 This video trailer highlights the mini documentary in which a group of volunteers set out to trek the over 350km from Fort Walsh to Wood Mountain in Southwest Saskatchewan. 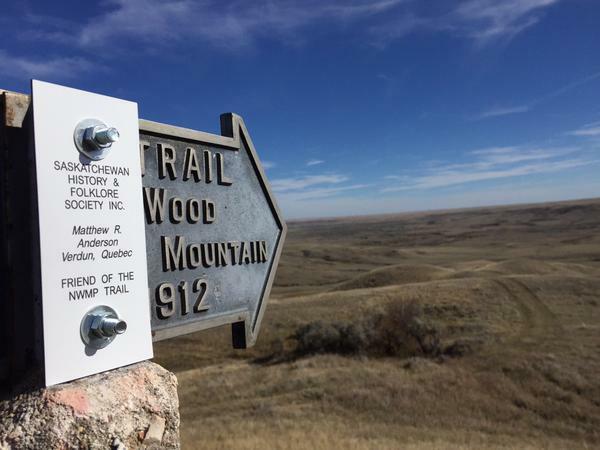 In doing so they retrace the Northwest Mounted Police Patrol Trail that helped open the west.